This is going to be such a hard book for me to review. Mostly because this debut novel has some of the most beautiful writing I’ve ever read. I was so positive that I was going to five star this leading up to the half way point, but I feel like things just started to fall apart and the story got harder and harder to follow. So, even though I’m not giving this the highest of star ratings, I still am really impressed by the author’s craft and I can’t wait to see what they do next because their prose was seriously nothing short of magical. The Waking Forest is a story that is telling two very different tales with alternating chapters. One is a girl in our world, living in a beach house with her family, and she has suffered from nightmare like dreams her entire life. The second is a witch in the magical woods, who grants children wishes with her heart, and she is being told a story by a very different kind of fox. These tales simultaneously go on and weave together that is actually really beautiful. ➽ Rhea – The sleepwalker, who keeps experiencing these nightmares, and is finding herself more and more close to understanding who the boy of shadows in the attic is, who only she can see. ➽ The Forest Witch – The granter of wishes to different children who visit her each night, but her newest visitor is a fox that is unlike the rest who live in her forest. Sadly, it is when the tales come together that the story started falling apart for me. I feel like the author has so many amazing concepts, and she was weaving them separately almost perfectly. It is when they came together that I started to get so confused and so uninvested. Like, I take really extensive notes while reading and this story was so damn hard to keep straight. And I felt like my beautiful lucid dream while reading the first half, turned quickly into my own personal nightmare. But another thing I did really like about this story is that it mentions, on page, many times about living with anxiety and how much it will and can impact your life. A couple of the characters bring it up many times, and really show how you can live a normal and happy life with your anxiety, even if at times it feels like it is something that is constantly holding you back. And as someone who lives with anxiety, it was just something that I really appreciated. Overall, I really loved the first half of this book, and I am still completely and utterly blown away by the beautiful prose. And I know I’ve talked about the writing in this review a lot, but the atmosphere is actually perfect, too. The descriptions in this book were always equal parts frightening and beautiful and I had goosebumps while reading many passages. And you all know I have a very special place in my heart for stories about entering people’s dreams. 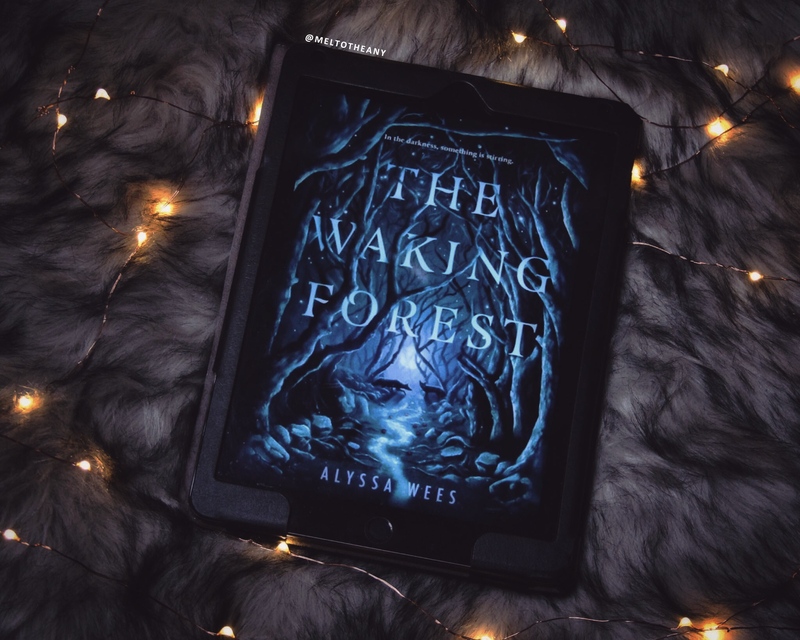 And even though I lost interest with the last half of this book, I am still so impressed with the writing quality, and the way that Alyssa Wees wove her words together, that I can’t wait to see what they do next. Content and trigger warnings for a tiny bit of physical abuse, torture (branding), captivity, slavery, loss of a loved one, scenes with spiders, and blood depiction. I just started reading this! I was wondering how the two stories were going to weave together, so I’m excited to get to the part to see how I feel about it as well. I agree with you about the beautiful writing, for sure. And the atmosphere so far is executed PERFECTLY. I have a copy of this one to read and review also. It really does sound intriguing so I’m so curious as to how I’ll like (or dislike) it! I’m glad you enjoyed the writing quality even if you didn’t enjoy the story as much ❤ Fabulous review! Awesome review, Melanie! ❤️ It always stinks whenever a book doesn’t head in the direction we hope for, but I’m glad you were still able to enjoy it overall! And I just adore books with dreams in them too! This reminds me a bit of Otherbound by Corinne Duyvis. 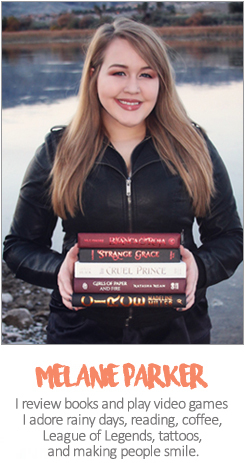 It has a MC who can see into the life of a girl in a fantasy land. Everytime he closes his eyes he sees through hers. For some reason this reminds me of that. The premise of this sounds so interesting! I’m sorry it didn’t work great throughout but I’m adding it to my TBR because i’m so intrigued! 🙂 Great review! I am really excited to read this one, great review love! I just started this book today, and right away noticed the beautiful writing – plus a gorgeous cover.